After a 12-year absence from the Winter Olympic games, the Jamaican bobsled team is making a catchy comeback. According to the Jamaican Tourist Board, this groovy reggae tune, titled “The Bobsled Song,” syncs perfectly with the Olympic bobsled track’s twists and turns. 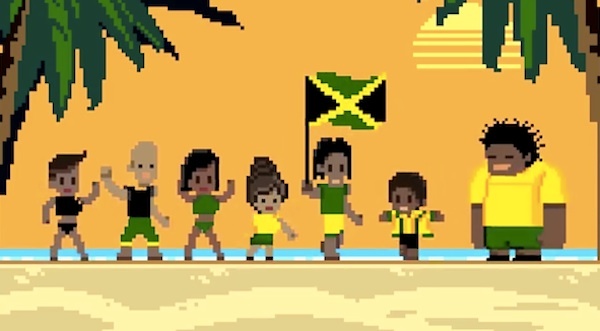 The song was written by Sidney Mills and Jon Notard, and features a bright 8-bit music video that tracks the team’s progress on a map of the Sochi bobsled course. via It’s Bobsled Time! Jamaican Team Gets Its Own Theme Song.